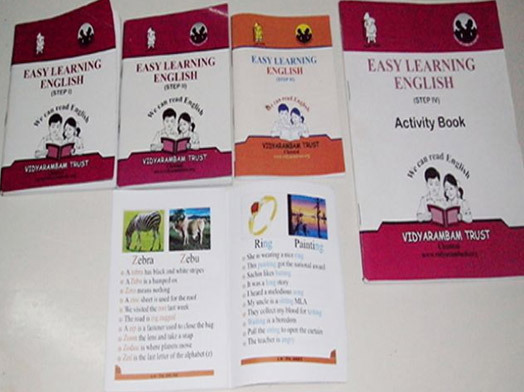 Learn more about the 6 different programs across different levels organized by us. 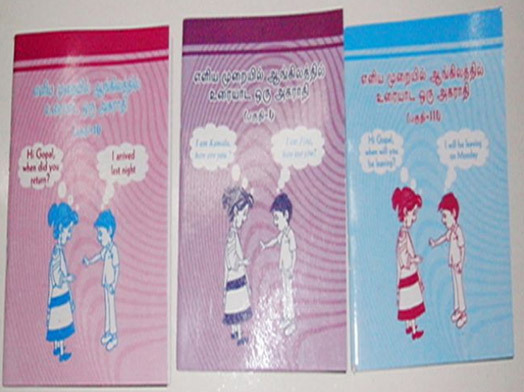 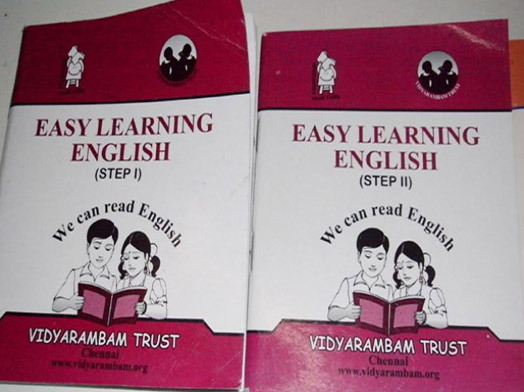 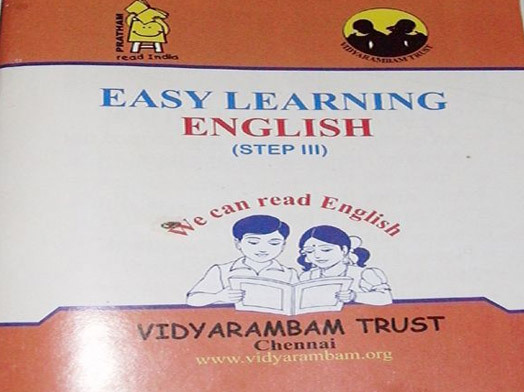 All teaching aids for Easy English are developed and produced in-house by Vidyarambam. 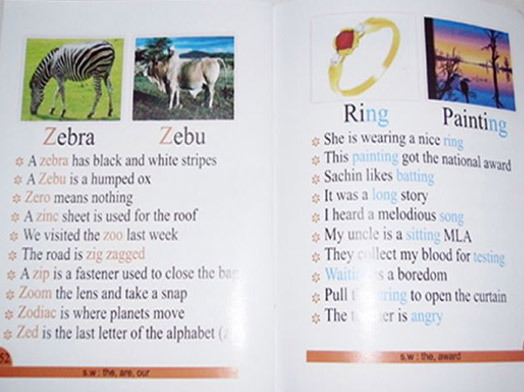 Given below is a sample of the materials and how they are used.